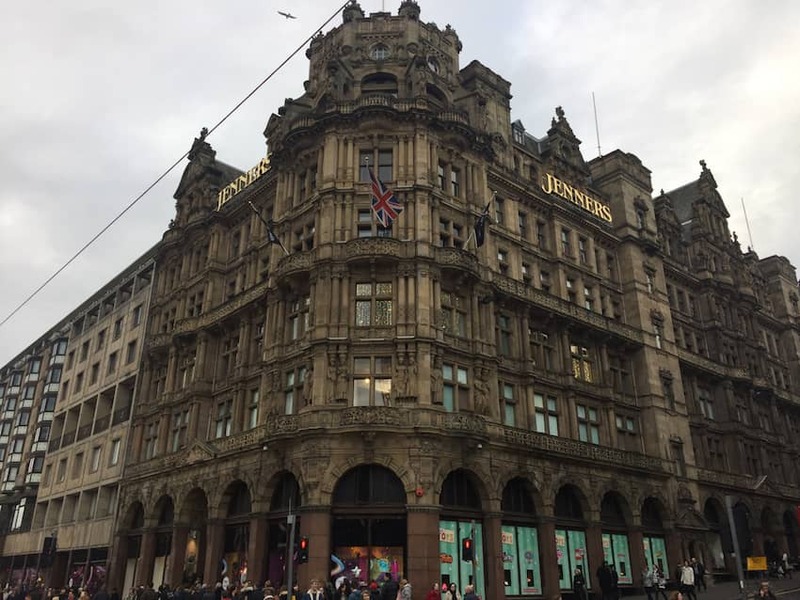 Jenners has been on Edinburgh's Princes Street since 1838 when it was founded by Charles Jenner and Charles Kennington and was known as 'Kennington & Jenner'. The original buildings that formed the department store were destroyed by fire in 1892, and in 1893 the Scottish architect William Hamilton Beattie was appointed to design the new store which subsequently opened in 1895. Known as the 'Harrods of the North', it has held a Royal Warrant since 1911, and was visited by Queen Elizabeth II on the occasion of its 150th anniversary in 1988. The store was run for many years by the Douglas-Miller family but was sold in 2005 to the House of Fraser. Unlike many House of Fraser acquisitions however it has not been renamed and has managed to maintain its identity as Jenners.